Perhaps the stars are aligning for a follow up to Double Fine's 2005 cult classic, Psychonauts. Yesterday I noted that series protagonist "Raz" made an appearance in Spicy Horse's Alice: Madness Returns. 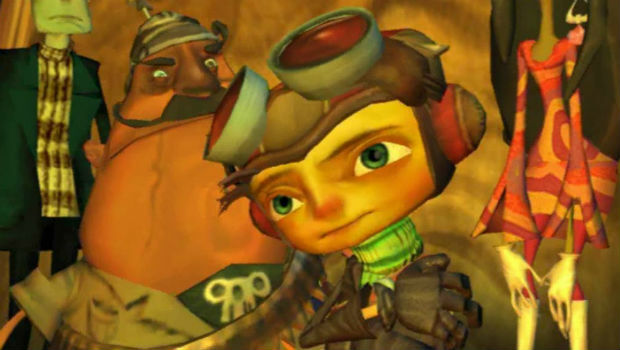 Now Double Fine has revealed that it has regained the publishing rights for Psychonauts from the game's original publisher, Majesco. Double Fine's Anna Kipnis said on her Twitter account that this means all digital sales of the game (on Steam or Xbox Live, for example) would benefit the developer directly. Company co-founder Tim Schafer, however, says it's more complicated than that. "It's true the publishing rights have reverted to Double Fine," he told Gamasutra, "but there are some more deals that need to be worked out and contracts that need signing before that actually means anything, financially." Schafer says once that's been cleared up, they "will have some fun stuff to announce" before adding "no, it's not Psychonauts 2."